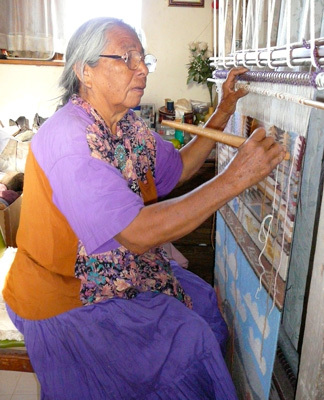 This is Mae Tso, the matriarch of our family. 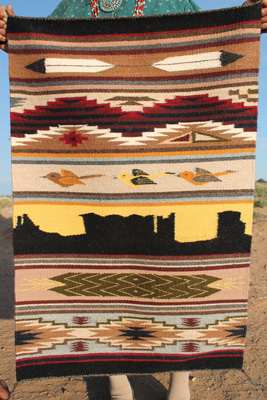 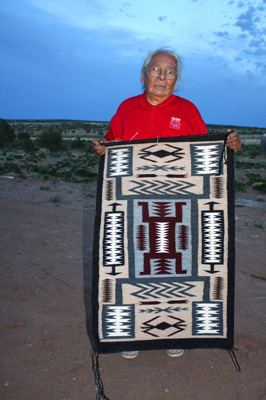 She is a world-renowned master weaver from Mosquito Springs, near Big Mountain, in the Black Mesa region of Northern Arizona. 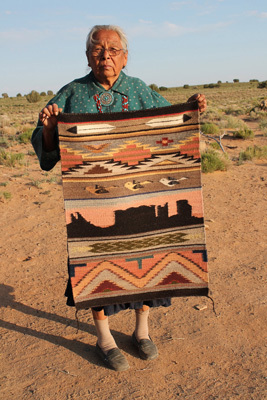 She shears the sheep from her own flock, cards and spins the wool, dyes the wool and weaves beautiful designs into Navajo rugs and blankets. 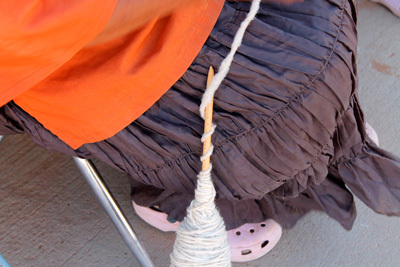 She spins very fine wool, uses all natural dyes which she often harvests herself, and weaves in the traditional Dine' way. 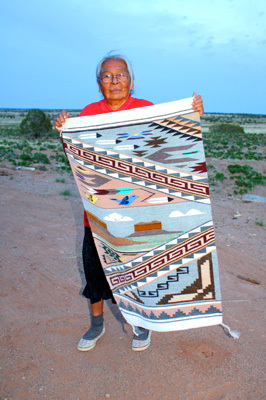 She is a truly gifted artist and many people come far distances to seek her out for her amazing talent and to purchase her rugs such as Angelina Jolie, Jackson Brown, and John Paul Mitchell. 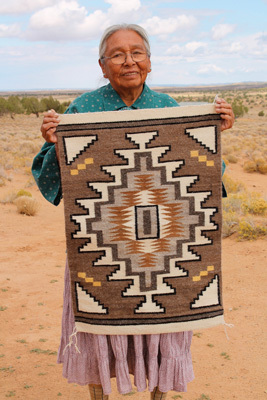 We've dedicated this page of our website to her weavings in hopes of helping to put her in touch with those who may be interested in purchasing a rug directly from her, or would like to commission her for a custom weaving.